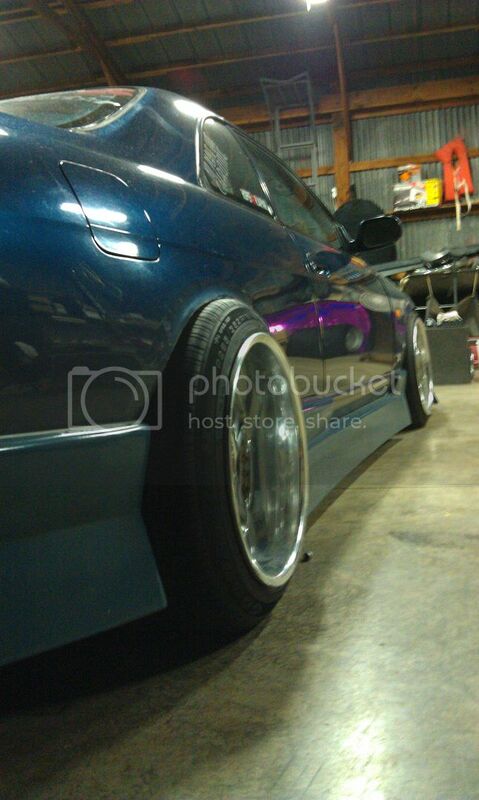 WTT for SET something around 18x10, Grams, Volks, Enkies, Advans...etc. 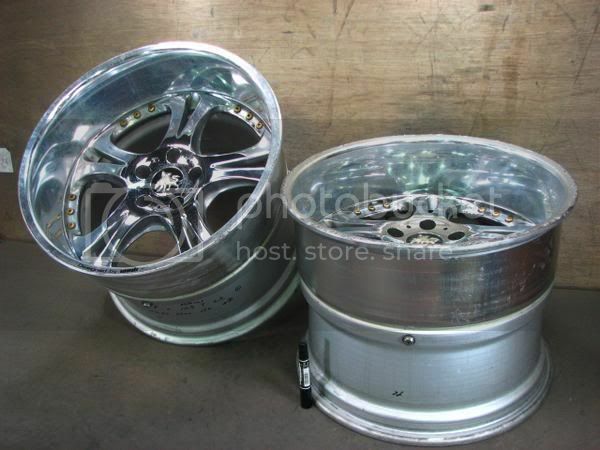 I need a set of wheels for my racecar and would Like 4 of all the same size and offsets.Chrome is always good too. currently just stretched some 295/35 corvette take offs with about +50% tread. Thats an R33. Bump for Derek. ^^^ Whoops my bad!!! still sick as wheels!!! We can make that happen, Pm me if intersted in cash offer or trade. Im willing to work on something. These will fit with overfenders on S chassis without having to run gobs of neg camber. What kinda advans do you have? Sorry man if they were a slightly better sizing like the j10s or 18s I would for sure consider it. Thanks tho. Listed on ebay now too. Need to move these scary beasts. holy crap. that is insane. GLWS! Someone Offer me a Set of 4 18x10s or something for these. Do you only have the two pair or do you have a set of 4. 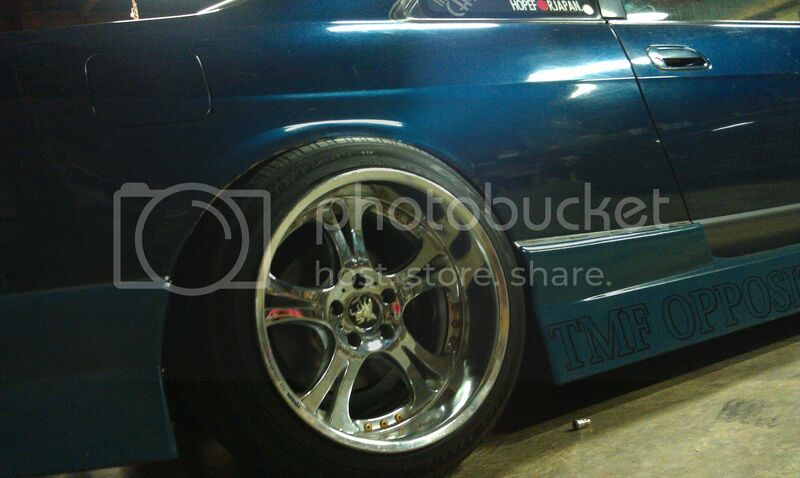 I need big wheels for the aero I am running...70mm wide rear quarters on an S13 HB. Let me know if you have all 4 rims...or just the two. PM me sir, thanks! I only have the pair. Will trade for a nice pair of 18x9.5 +12 57d luminescent Yellow.